A glance through the latest expert views and predictions about commodities. China & steel; agriculture & water; copper & and coal. The rise in China's steel exports through April and May has defied expectations, particularly after the US signalled a 25% duty on March 23. 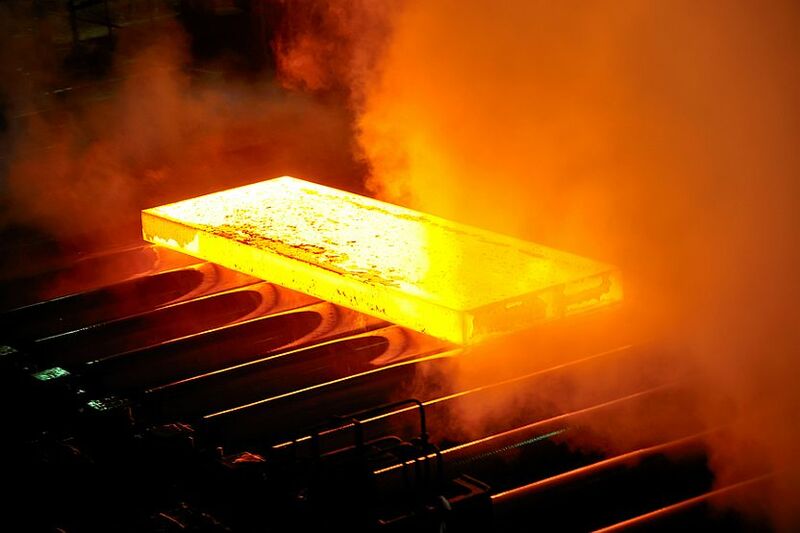 Commonwealth Bank analysts find this interesting, given China's net steel product exports are still down around -20% over the first five months of the year. The analysts are not convinced about synchronised global growth and foreign demand as factors behind the rise. China's crude steel output increased 5.4% in the first five months and by an impressive 8.9% in May. The stems from the fact domestic steel output is looking attractive as margins remain elevated for the mills. From the second half, the analysts expect steel exports from China will struggle to climb, as the traditional Southeast Asia market for steel exports is shrinking, driven by protectionist measures and competition from the likes of Russia. Vietnam has already indicated its companies will stop buying steel from China to avoid higher duties. Ruralco ((RHL)) is likely to be the largest beneficiary of the activity in water services, Wilsons suggests. In the past decade, water entitlement values in the southern Murray-Darling Basin have increased by a compound 23%. This reflects supply constraints, increase trade and efficiency improvements. Water as an input for agriculture means that water prices over the long-term will be driven by fundamental commodity prices. In the short term, various factors will cause dislocation including seasonal conditions, financial/speculator interest and commodity price movements. The national water initiative agreement in 2004, and subsequent separation of water title from land title, was the major catalyst for creating the water market. This has created tradable property rights to water. Wilsons notes Ruralco's water broking business is at the forefront of the market in terms of activity and product development. While not the largest contributor to earnings, the business is important for market intelligence and customer engagement. The broker's report suggests trading conditions are favourable because of the evolution of the water market and water efficiency improvements. The water services segment accounts for around 20% of group operating earnings (EBITDA) and is the fastest growing. Insights from the broker's panel discussions in the report were also favourable for Costa Group ((CGC)). Costa is less exposed to movements in water prices because it has farms sourcing water from regulated systems, employs a strategy of owning more entitlements, while many farms are self-sufficient. The insights were neutral for Select Harvests ((SHV)) and marginally negative for Rural Funds ((RFF)). Constraints on the commodities which offer sufficiently attractive returns for near-term investment limit the growth opportunities for Rural Funds, Wilsons believes. Copper miners are beginning to approach prospects for expansion with action. Credit Suisse observes a number of stalled copper projects have been reinstated over the past three weeks, adding to the growing list of projects coming on board after 2020. The broker was aware of the Spence, Toromocho and Konkola expansions and now knows that Minsur is seeking financing to build Mina Justa by the end of the year. Southern Copper is also negotiating over the Michilliquay project in Peru while Teck is seeking permits for Quebrada Blanca 2. The broker assesses that the increase in the number of mine projects coming on board rests on the fact the May copper price of around US$3.10/lb is sufficient to deliver mine expansions. To Credit Suisse this is now looking like an old-fashioned mining cycle, where high prices will stimulate a wave of new supply. After a review of the long-term market, Ord Minnett suggests coking coal is likely to move to an incentive price, driven by growth in Indian demand as steel production rises. The broker upgrades its long-term price forecasts to US$140/t from US$110/t. Australia is likely to supply the demand from India, because of its larger, high-quality resources. A shift in global energy mix away from coal is the second part of the coal equation, which will mean domestic production declines and seaborne demand rises materially, particularly from Southeast Asia. The broker upgrades its long-term thermal coal price to US$77/t from US$67/t. This price reflects an average of incentive prices, based on peaks and troughs through the cycle. Growth in coal-fired power generation throughout Asia is likely to support an additional 100mtpa of seaborne demand by 2035, and Ord Minnett believes, therefore, thermal coal prices will need to be strong for a sustained period in order to incentivise development of new coal basins. If major miners continue to restrict new supply via "value over volume" strategies, the broker suggests additional high-cost production will be needed. Therefore, the balance of risks to its long-run analysis is skewed to the upside and a positive scenario exists for producer margins.